Can't afford a GT-R but still want one? 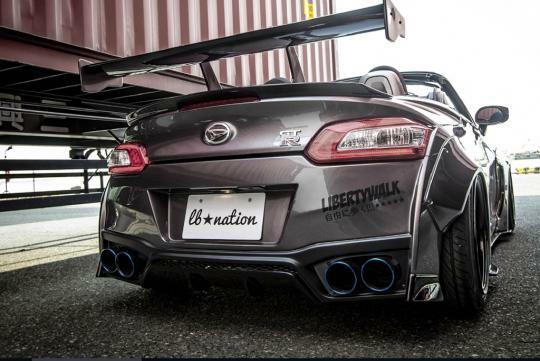 Liberty Walk has the solution for you with its new conversion kit. Known more for its widebody kit that is fitted to Nissan GT-Rs and Lamborghini Avantador, the aftermarket body kit brand has turned its attention to the diminutive and affordable Daihatsu Copen. 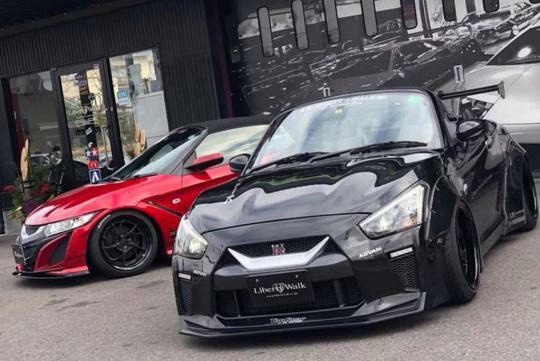 The Copen is defintely not the fastest car around with only 63bhp from its 660cc turbocharged engine, but with the Liberty Walk’s Copen GT-K kit, the car sure looks faster. 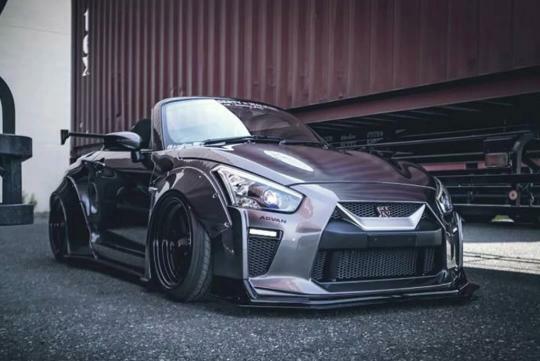 Costing S$5,000, the body kit consist of the front bumper with daytime running light, rear bumper, GT-wing, rear exhaust muffler and mirror cover. Most importantly, the kit includes the signature over fenders. For those want to look slightly less aggressive, Liberty Walk also has the kit without the over fenders and the GT-wing at a lower price. Worst it's converting a daihatsu/toyota to look like a Nissan..
Toyota is a more valuable brand than Nissan.